Add me to the list of people who received the initial bottle and then received automatic shipments without my realizing I had signed up for them. I called Instaflex. I was told that I had received e-mails telling me of the their terms but none arrived. Instaflex said the e-mails must have gone into my spam folder. (I checked: they did not.) I requested a refund for the two automatic shipments. They refused a refund for the first and said that if I returned the second bottle (at my own expense) they would issue a refund. I'm waiting for the refund. They also said they would cancel the automatic shipments. I'm waiting to see if that happens. 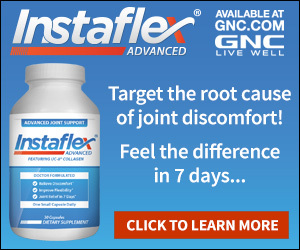 Whatever Instaflex says about the fine print and e-mails, it is clear that many people are being misled by the Instaflex ads. A reputable company would not allow this sort of misunderstanding. My worry is about the misleading information perpetrated about the product, not the product itself. 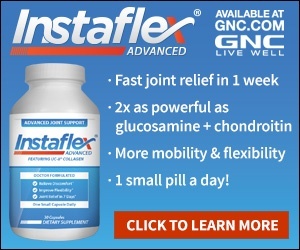 But because of the way Instaflex operates its marketing, I know longer have faith in the product. I urge people not to patronize this company. Reason of review: Misleading advertising. Review #537556 is a subjective opinion of PA. I think I read somewhere that an attorney was thinking about a class action suit. Does anyone know anything about that? same story here. how do they get away with it???? This is a rip off way to market. I had the same experience and they "said" they would give me a refund for my first unauthorized shipment if I returned it at my cost (again). No refund yet but it has been only 2 weeks. I received confirmation they received it and who signed for it. If I do not receive the refund I will take it up with my credit card company and the state's attorney general. Run away from these guys.